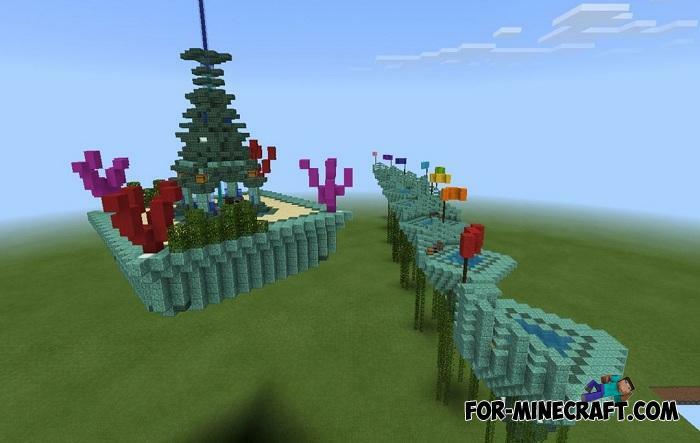 This map guarantees a fun and active pastime if you play in a group of friends or just strangers. 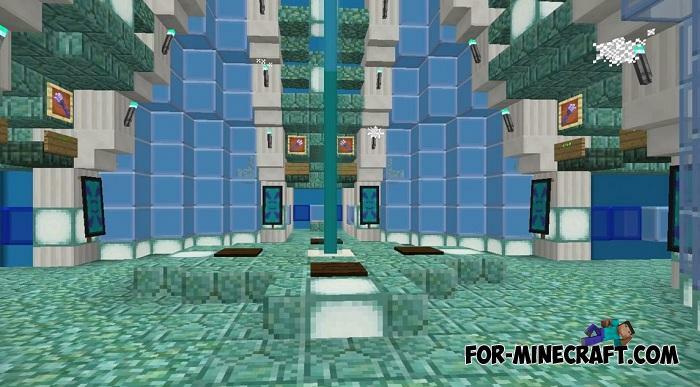 Prismarine Skywars is a platform where epic battles take place both between teams and solo players. 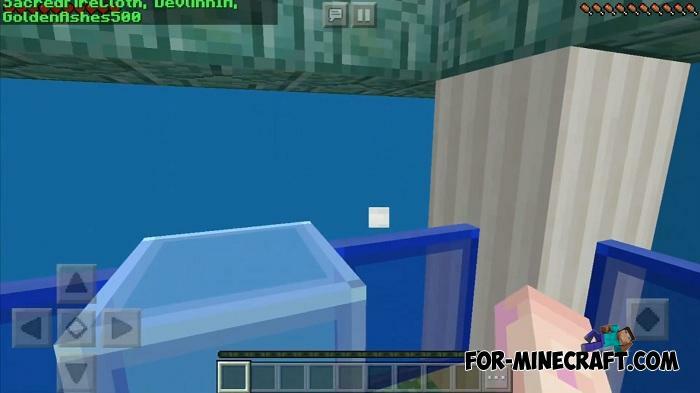 According to the tradition in Skywars maps, you will appear on a small island. Next to you are other islands with other players who must be killed by you if you want to convincingly win. 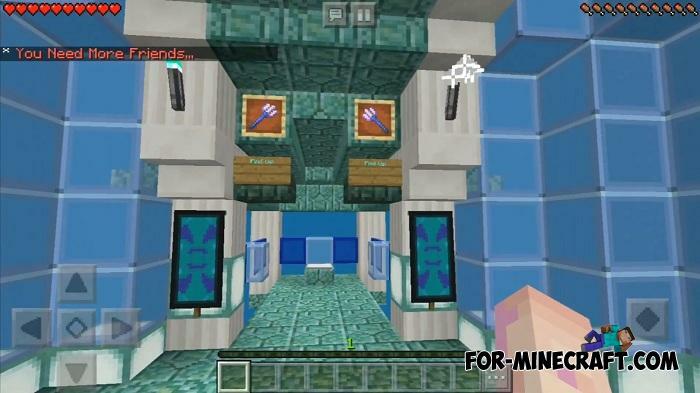 Like any modern Skywars, this one gives you the opportunity to equip yourself using autocomplete chests. Every time you find and open a chest, the loot inside is different, so there may be moments when you have a worse weapon or one that you can’t use in full measure. At the beginning of the game, do not rush to jump over to the neighboring islands, better look around and proceed with caution as you do not have so many attempts. 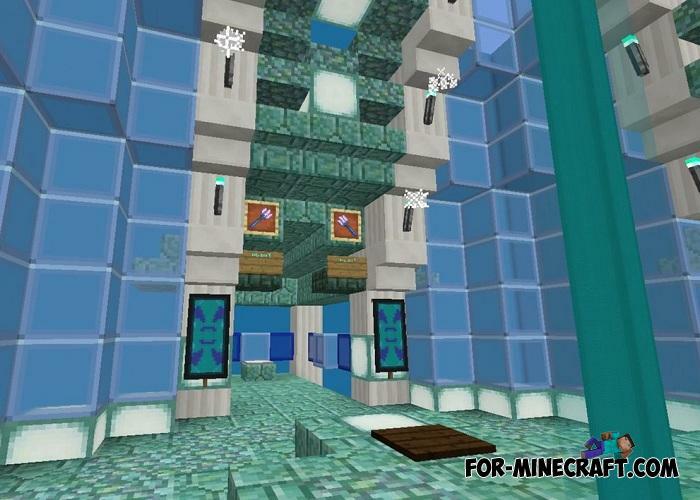 In addition, if you play the latest versions (MCPE 1.11.0.5 for this day), then you definitely need to wait for the appropriate server version for this map as there is simply no single mode. 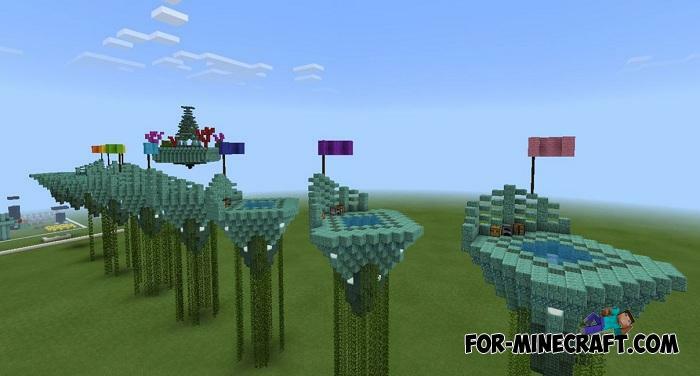 8 SkyWars maps for Minecraft BE 1.8/1.9+The original SkyWars with several distinctive features was taken for the idea..